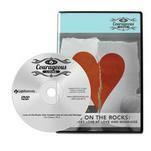 Love On The Rocks: How Couples Lose at Love and Marriage - Tim Clinton, Ed. D.
Sometimes couples who love each other and have a deep desire for relationship still become misaligned and find themselves hurt and hurting their partners. Dr. Tim Clinton shares how couples in distress can get back on track to a mutually fulfilling & God-honoring relationship.